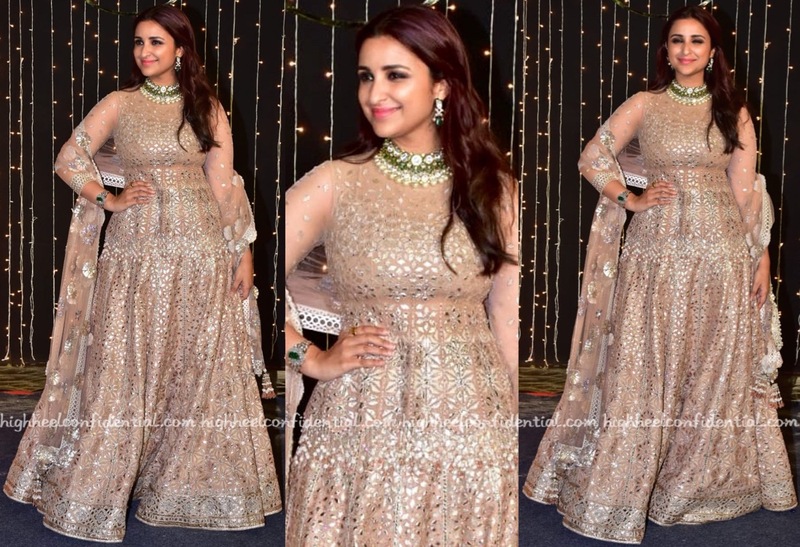 For Bhumi, it was a Dolly J lehenga, one that she wore with ruby and diamond jewellery, a pink clutch and white roses in the hair. To me the flowers looked a bit out of place but overall she looked nice. 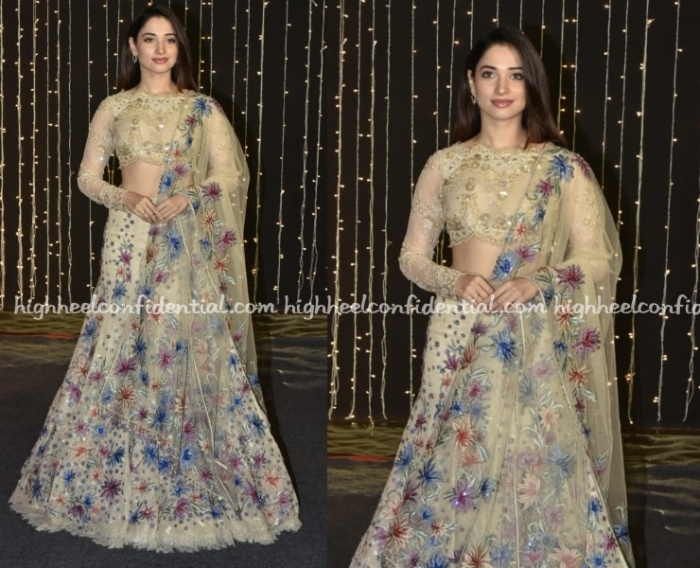 At Priyanka’s wedding reception in Mumbai, Tamannaah was photographed in a Tarun Tahiliani lehenga. Can’t say it was one of our favorites from the evening- we were left rather underwhelmed. Had Tamannaah played up the boho-vibe with a wispy, low knot and chunky statement-y jewelry, the look would’ve stood a chance! 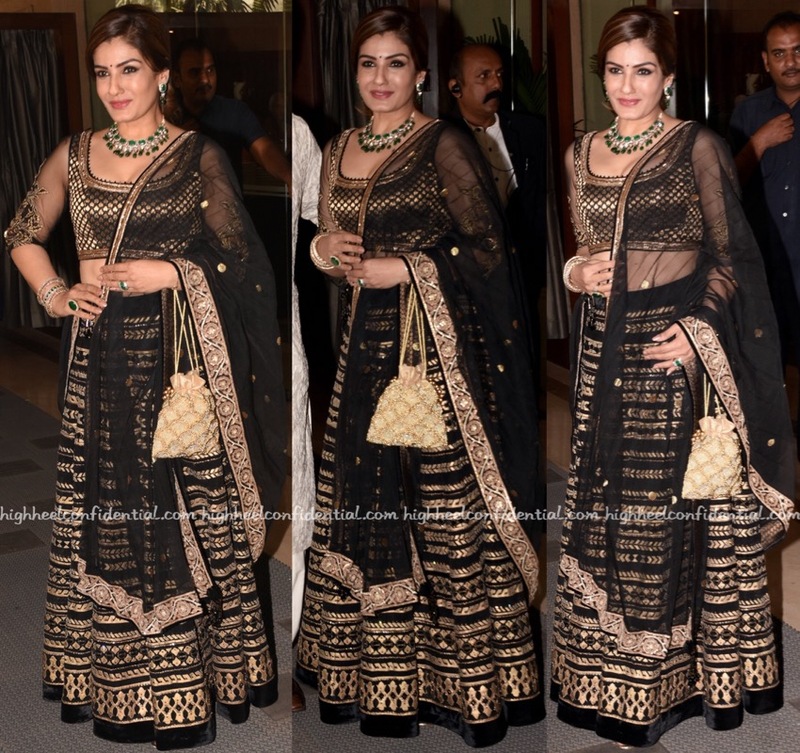 Wearing a Tarun Tahiliani lehenga, Raveena attended another wedding in Mumbai recently. Diamond and emerald jewelry and a gold-toned potli rounded out her look. She looked nice but really wish that blouse/choli didn’t have sheer sleeves… It single-handedly brings down the look a notch or two. 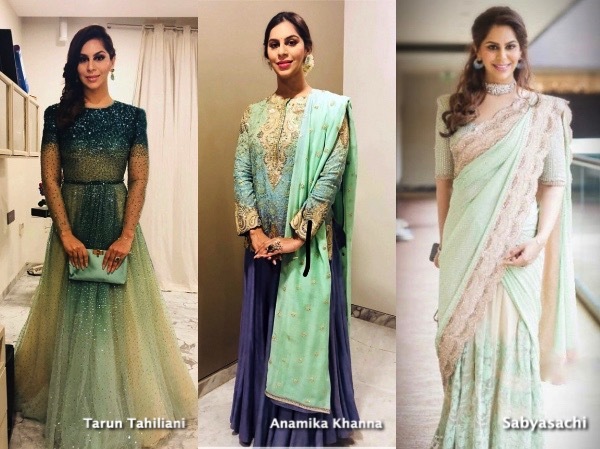 If the purpose is to bring in some weightlessness (and I am only guessing here) to an otherwise heavy lehenga, why not just go sleeveless or with short-sleeves to balance out the weightiness of the outfit? !